‘Becks to Bay’ is your local catchment partnership, led by South Cumbria Rivers Trust (SCRT). We are a group of local people and organisations working collectively to protect, monitor and enhance the catchments of South Cumbria. We represent, advocate and co-ordinate actions and priorities for local organisations, communities, landowners and businesses across South Cumbria. SCRT are the Defra appointed catchment hosts for South Cumbria. 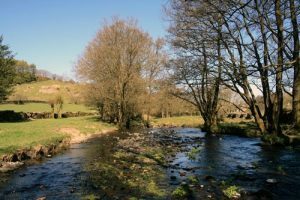 This website hosts our local knowledge on the catchments of South Cumbria. It also highlights the actions and priorities we believe necessary to improve the catchments for the benefit of all. Additionally it acts as a record of the ‘issues’ known and the projects carried out to date. Please take a look at our catchment plan to find out more about each of the five catchments we cover here in South Cumbria. 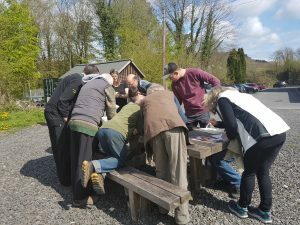 Our catchment planning is supported and part funded under the Natural Course project as part of the European Life programme. More information can be found by visiting the Natural Course website.